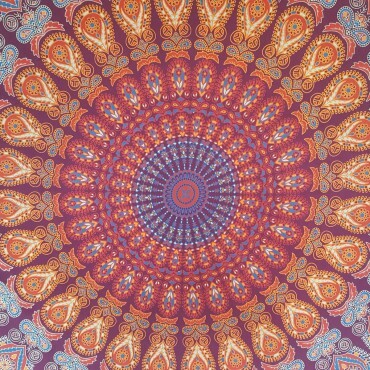 Amazonas Gifts presents a selection of 100% cotton mandala wall hangings / tapestries. An Authentic hand printed Indian tapestry. Free First class postage in the UK. A fair trade product. Amazonas Gifts presents a beautiful, colourful, vibrant selection of Fair Trade Tapestries/Wall Hangings.Style: Elephant MandalaColour: Navy Blue, Turquoise, Gold, WhiteFREE UK FIRST CLASS POSTAGE - WE ARE A UK SELLERSize approx: Medium – Single/twin Size: 2.1m x 1.4m / 82 inch x 58 Inch.Large – Double/Queen Size: 2.4m x 2.1 m / 94”x 84”All edges are Hemmed. ..